I’m a bit late coming to this movie (blame it on surgery), but having heard good buzz I couldn’t wait to sink my teeth into it. I can’t call “World War Z” a feel good movie. In fact, you won’t want to be feeling anything after seeing this Zombie apocalypse. But you won’t be able to take your eyes off the screen. For starters, it offers a solid vehicle for Brad Pitt, who is well cast as a former United Nations troubleshooter who manages to escape with his wife and their two young daughters. They find temporary refuge on an aircraft carrier that serves as a U.N. command center. But in order to stay, Pitt has to go back and find a cure even though he’s no superhero. But he’s fearless and smart, which is why we root for him from the word go. Director Marc Forster sets his film in Philadelphia then globe- trots from Korea, Israel and Wales. There’s also a twist: his living dead are no staggering slowpokes. In fact, they race around like sprinters, which is why they make a worthy adversary for our man and his crew. The result is a scary, absorbing and completely entertaining movie. 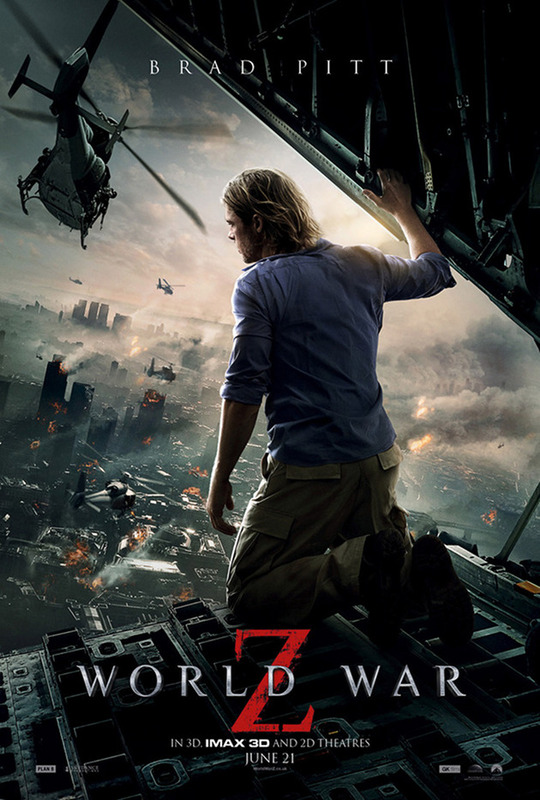 In a summer with too many sequels and overhyped blockbusters (“Hangover 3” and “Fast and Furious 6” are fine examples), “World War Z” stands out as a genuine original. Whatever the film lacks in structure, it makes up for in juicy visuals and nonstop edge-of-your-seat moments. Just hang on for the ride. It is a really good movie, with an outstanding performance from Brad Pitt and a captivating not-so-typical zombie story.